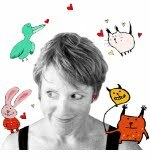 This week's Illustration Friday theme (I haven't done this for ages) is 'layer'. This is something of an awkward layer; not feeling quite right in your own skin or giant pink coat. 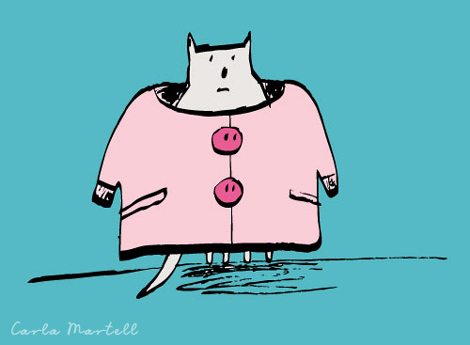 I've definitely felt like that at certain times in my life (although I am not a cat nor do I own a giant pink coat, thank goodness). I love your style. Great expression! VERY sweet. Love the expression of your sweet character!